My first bracelet made from scratch! 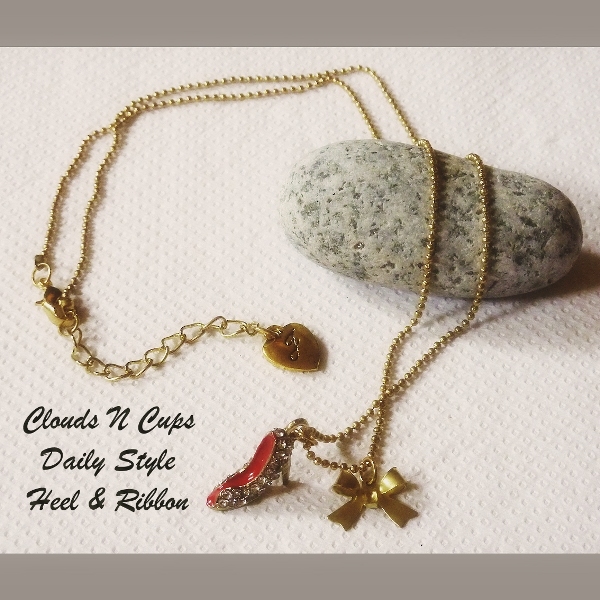 A 13 cm long bracelet for Baby Sis since her wrist is so thin that she has problem buying chain bracelets outside without any extra alterations. Last but not least, we would like to send a big thank you hug to Shruti and Aina (get well soon) for their constant moral supports and always believing that we can do it. There is still a long way to go down this road of uncertainty and we are glad to have so many lovely soul being with us all these while. Have a lovely Friday and a wonderful weekend ahead! 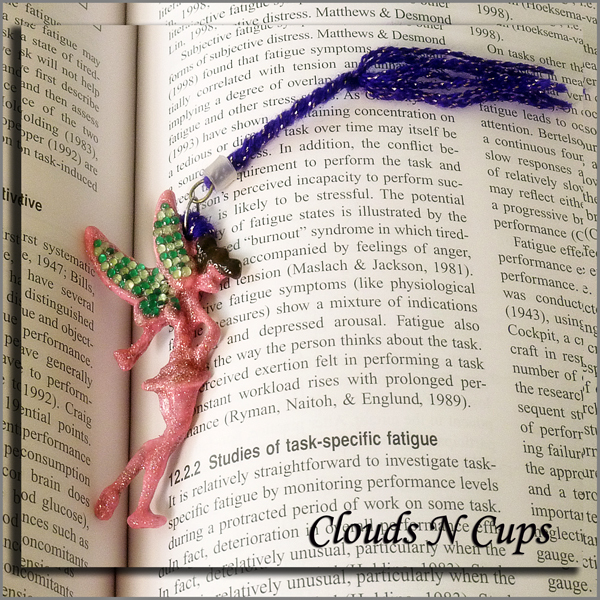 Do you lovely souls out there still remember the fairy bookmark in one of our previous post – How Much Good? How Much Joy? 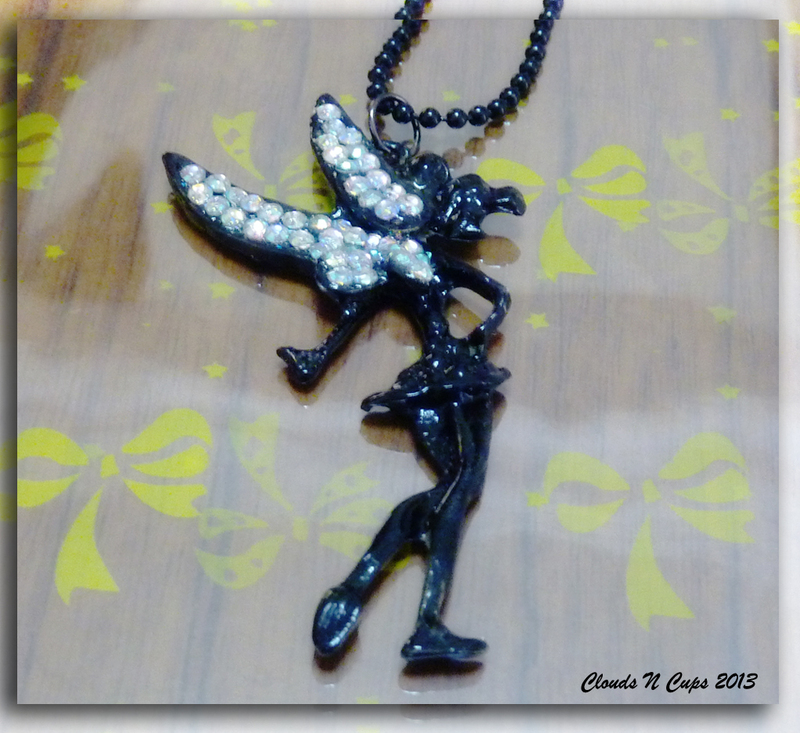 No longer a bookmark, but the pendant of a double layer long necklace. 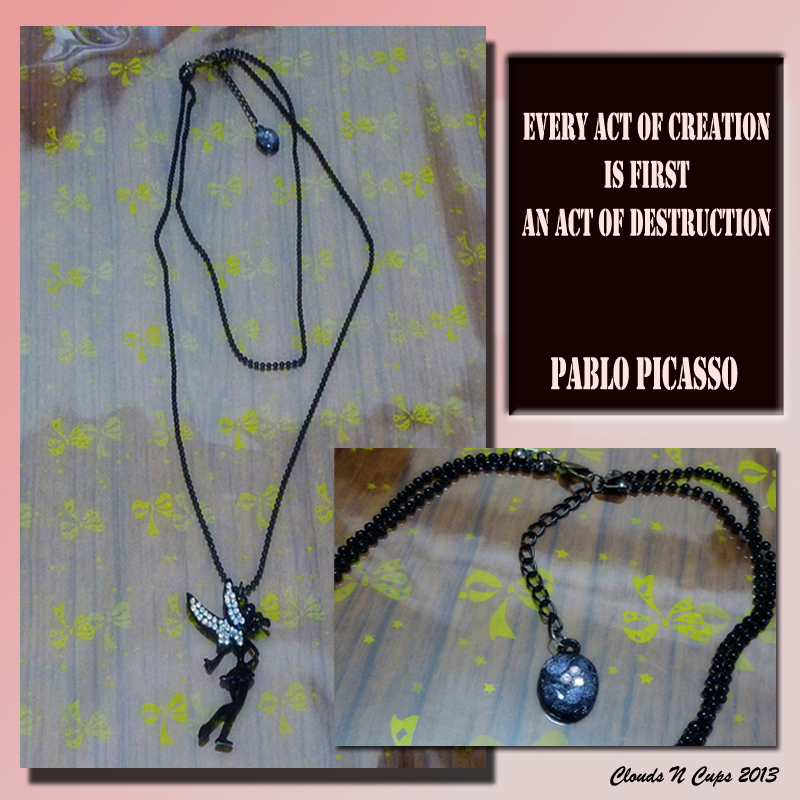 I have to agree with Picasso. 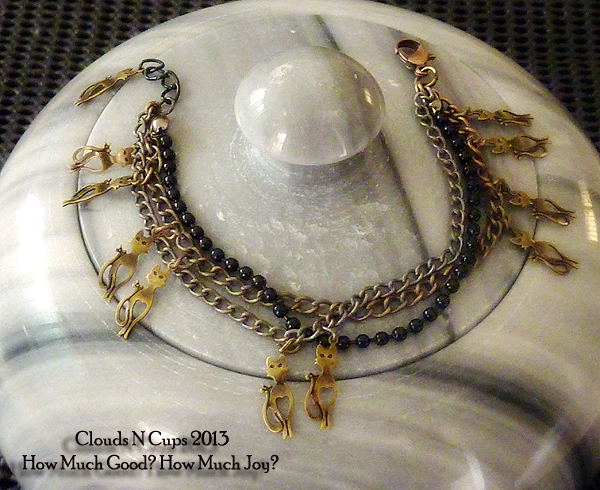 3 necklaces were being’dissected’ in order to create this new one. 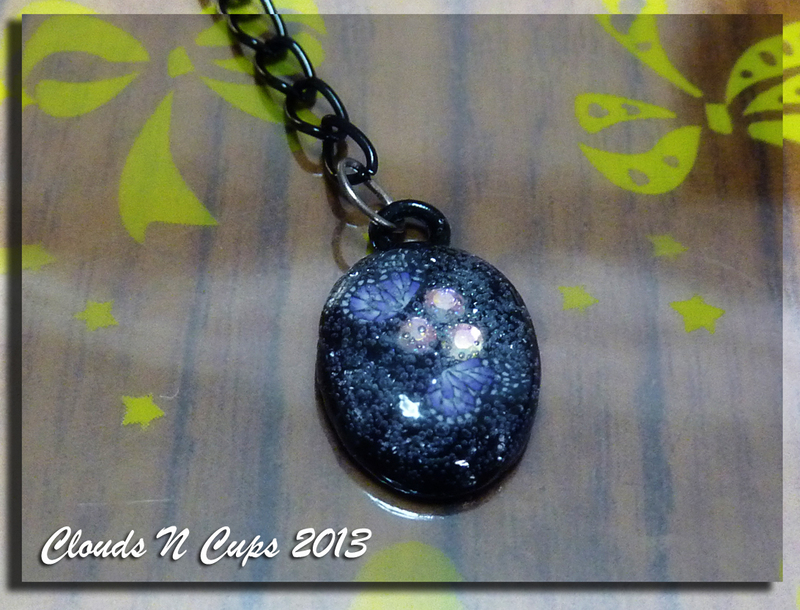 Are you able to see 2 fimo slices and 3 AB colour crystals inside the transparent blob? 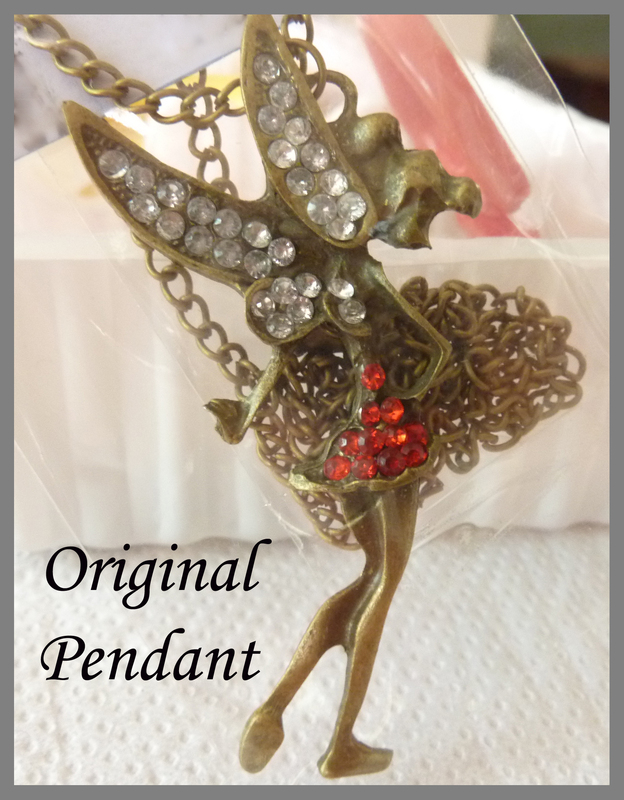 I regretted almost immediately after I applied the silver glitter to the background because the glitters has stolen the attention away from the center-piece design of this pendant! 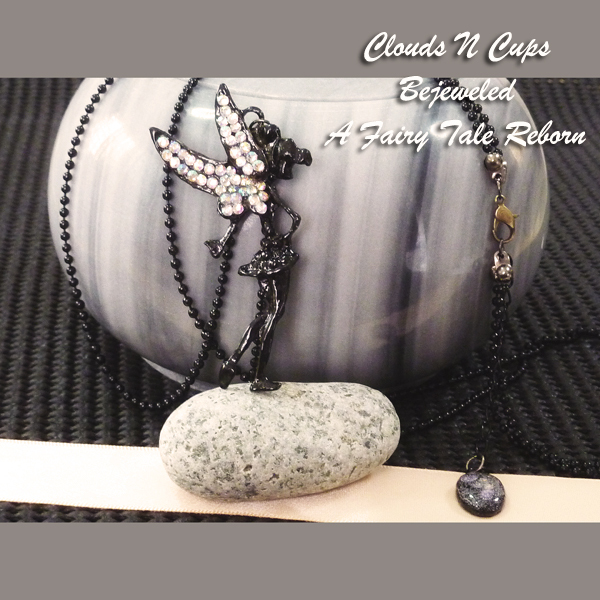 Without all those kind encouragements from many sweet and lovely souls out there when we first posted the fairy bookmark, there won’t be this necklace. 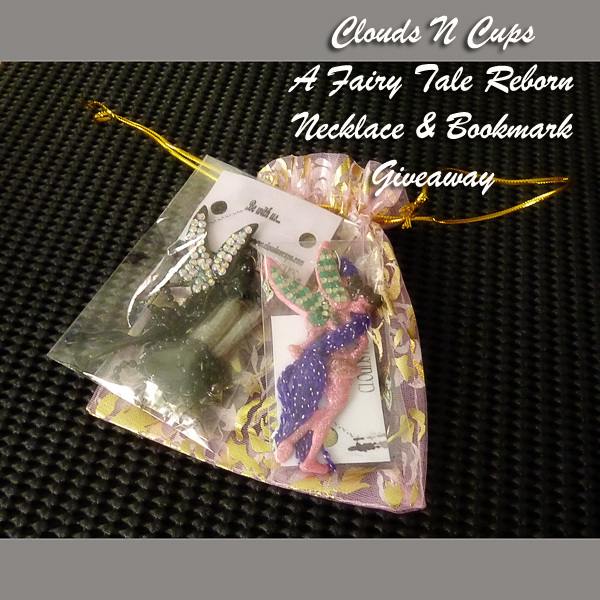 In order to share the joy of our first creation(s), we are prepared to give away the necklace and bookmark in our next ‘Let’s Play’ contest in our Clouds N Cups, Share With Us blog, i.e. 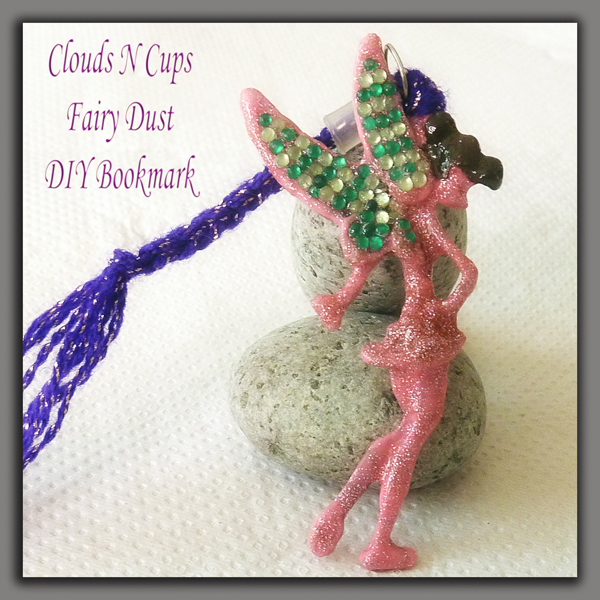 provided you lovely souls wouldn’t mind accepting these ‘reborn’ fairy items. Hopefully, I am able have the contest up by today, so till then do have a great day ahead! How much good? How much joy? Can you imagine my frustration after I’ve received the actual pieces? Well, I am definitely not going to pass the frustration down to my customers. The supplier is definitely going to be blacklisted and the entire batch won’t make it for listing, that’s for sure. Frankly speaking, my heart would bleed to see those pieces lying inside the rejected box whenever I am doing my inventory check and I keep asking myself what should I do with them? Hmm…and thus my journey to finding joy in this damage soon begins…. 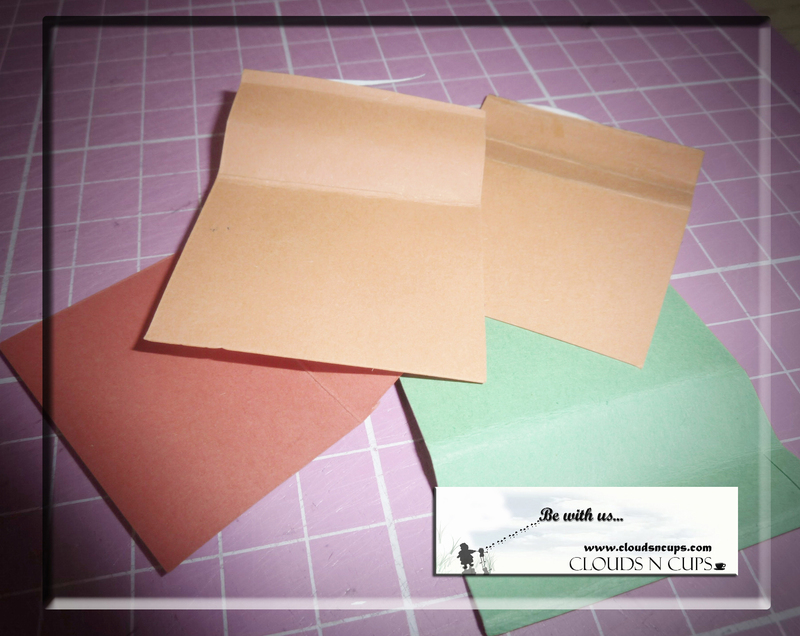 After making a bunch of bookmarks for our ‘Find Love’ contest, I’ve decided to try making a bookmark using whatever resources I currently have because I really enjoy making bookmarks. If you lovely souls have been following this humble blog of ours, you already know by now that I am a firm believer of “Everything happens for a reason” . Those long years of bad health which cost me a job that fetched me a comfortable payroll and later a job that gave me many challenges and joy while being with many lovable children. I wouldn’t be here laughing at my own creation and typing out this post with a joyous mood if not for those long years of bad health. Therefore, I am actually quite thankful for this. I made a ‘leash’ (not sure how I should call this part) by tying a few strands of purple wool to a small ring (which was from the original pendant) and then cover the knot with a plastic cap-like component which I’ve ripped off from an unused key chain…LOL.. The first steps will take some effort, maybe pain. But after that, everything that has to be done is real-life movement. I am thankful to have this companionship and of course, all those sweet encouragement from all you lovely souls out there while I am taking all those different ‘first steps’ in this business venture. I know I’ve been neglecting all my nail thingy but the good news is that I’ve finally managed to clear all the photo editing for the accessories that I’ve had at hand. 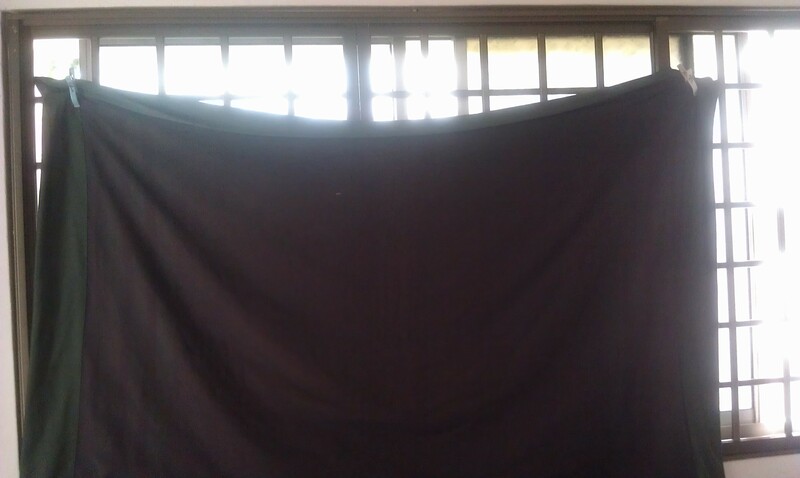 Just two days ago, I’ve received another two more packages and managed to perform the quality check during this morning. 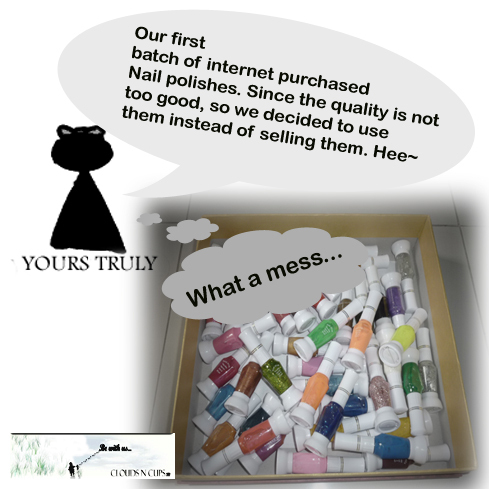 I am glad the quality of the products are good enough to be sold. As a matter of fact, I wanted to upload our products to our website, unfortunately we’ve encountered some latency issues from our web host and thus I’ve to drop the idea for the day. So here I am, taking this opportunity to do some updating here. 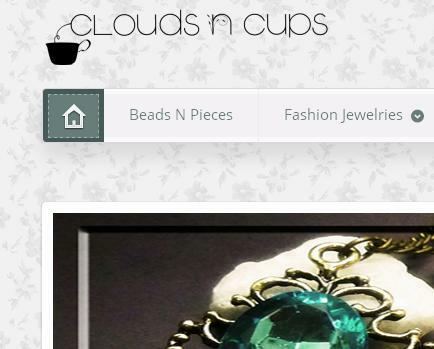 Our ‘Be with us‘ page is updated. After packing our accessories, I’ve stored them in office trays meant for storing documents since I don’t purchase too many pieces for each design. 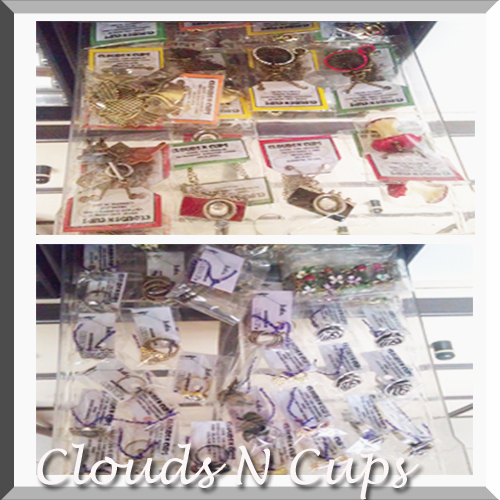 The trays are actually good for necklaces with flat pendant designs and simple ring designs but not for those bulky ones. 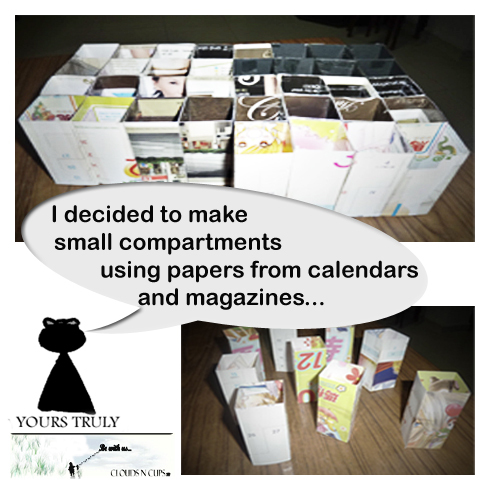 Like what I’ve done in the past for our nail polishes, I created compartments using brochures or calendars with the sizes customized to the packing of my accessories. 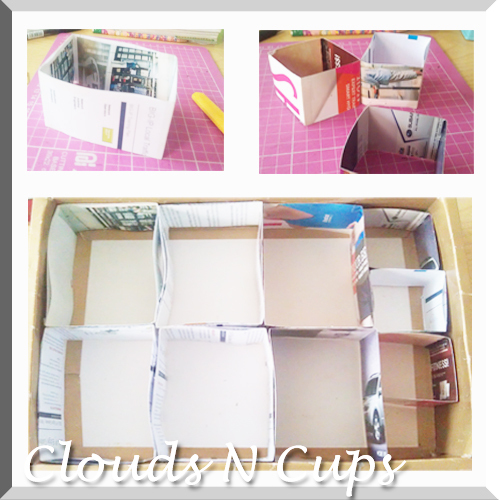 If you are using hard cardboard for the compartments, they are likely to be firmer than those thick brochures or calendars. In order to make them firmer, I’ve secured the sides of the compartments to the box with adhesive tapes so that they won’t collapse so easily. 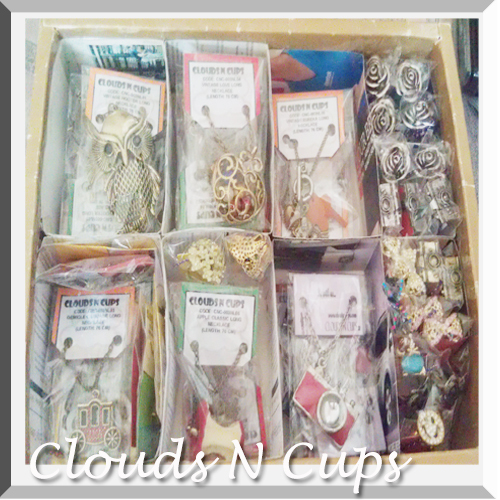 From the picture above you can see that I’ve created 6 slots for my necklaces and 4 slots (using only 3 compartments) for my rings or even earrings. Unlike the nail polishes, the design of each item is facing up so…yes…this means I don’t have to stand up in order to see what item is stored in each compartment. Oh Gosh! All these time I’ve been busy with our fashion accessories that I seem to have overlooked our fimo and the giveaway events. Don’t worry, they are still in my to-do list, so I will definitely find time to do them in the near future. I think I need to set a deadline for myself or else it is like never ending and just this morning, I’ve received another two batches of goods from our suppliers. 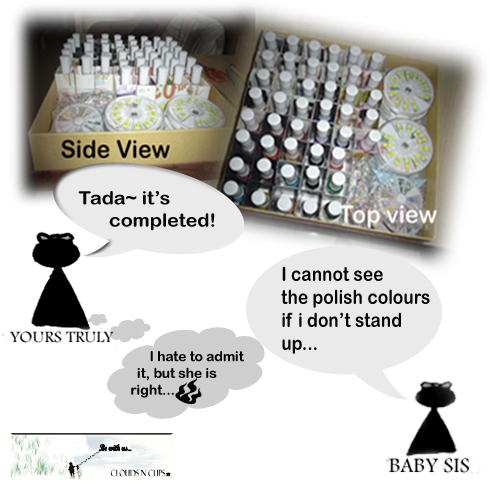 Yet to go through the quality check as I need to finish off the ones I have at hand~ how I wish there are 48 hours a day! As I was busying with printing and cutting out more tags for our accessories, I was thinking, why not upload a post for our D.I.Y tags? As we are just starting up this internet business, most budgets are used for purchasing products and of course, a good packaging important even though we are not in retailing. 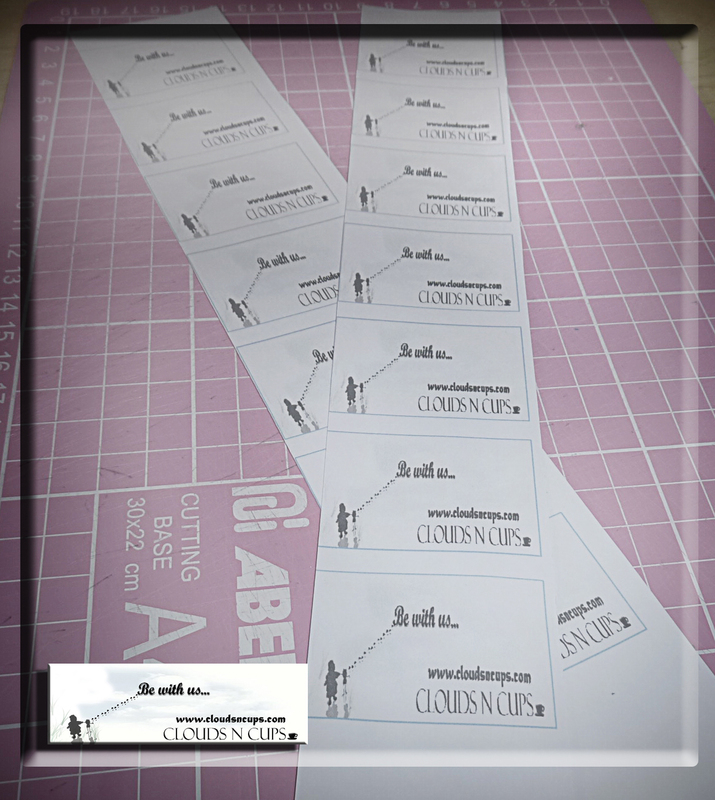 It is not very cost effective at this stage to print out labels in bulk since from time to time, the designs that we need may differ. For ours, this latest tag picture ‘Be with us’ is actually our third or fourth versions. Choose your preferred design and insert the picture into a WORD document and then you can do the re-sizing inside the document. Use the table function (without any border) to arrange your label and choose ‘narrow’ for the margin in order to optimize the quantity of label per page. 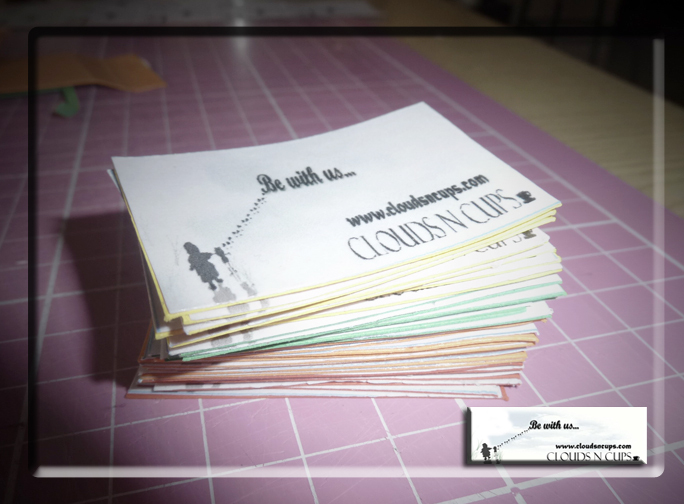 In our case, we are able to print 28 labels in one A-4 size paper. If you want your label design to have different colour backgrounds, you can try using a lighter background label, possibly with a lot of white surfaces so that you can just use different colour papers as your design’s background and this can save you the printer’s colour ink for printing the background. 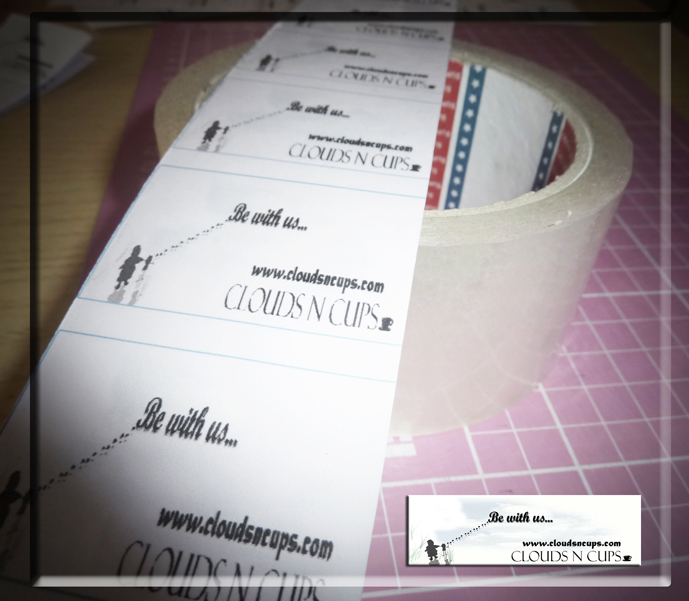 After cutting them into stripes, we will use a transparent masking tape (width: 4.8cm) and paste it over the paper. If you are printing your labels using inkjet printer (like us), this layer can prevent the ink from smearing over time and the label will be more durable. If you are printing your designs on cardboard papers, the label is completed after pasting the masking tape over the paper. Normally I don’t use A4 cardboard papers because they are more expensive. Therefore, I will buy vanguard sheets, which are bigger and more cost effective, and use them as the base for my paper labels. Ta~da! It is completed after gluing the label onto the vanguard sheet. 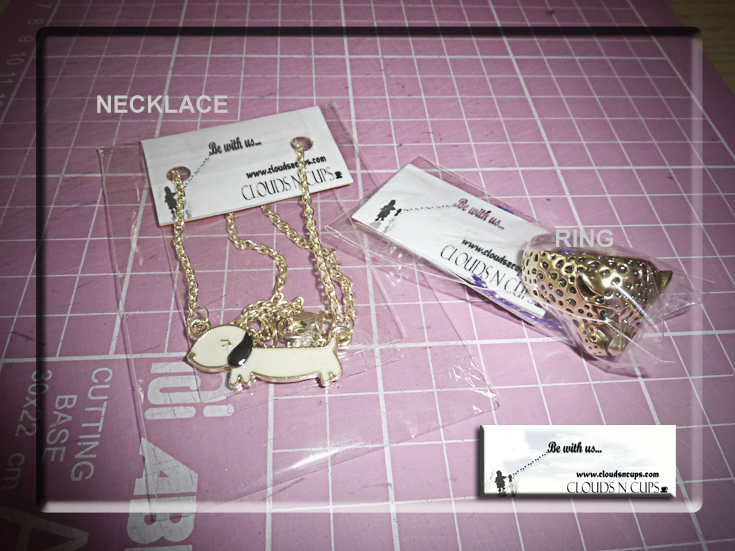 This is our latest packing of our fashion accessories using the tags. With the layer of transparent masking tape, I don’t have to worry about the wear-and-tear around the holes if repacking is needed. We hope the above tips are helpful. Someone has re-blogged my ‘Everything Happens for A Reason...” post and since this is the first time my post has been re-blogged, I am very excited. When I followed the link, it was an error page so I am not sure how it works. Anyway, this sweetie has a very nice photo blog, so if you are interested, do check it out at his/her blog. Here the link to their archive. I would like to thank katie1094 for the above nomination. I know there is something I need to do but I am not sure what I should do. Anyway, will upload another post for this after checking. If anyone reading this knows what I should do, please drop me an e-mail or post me a comment. Thank you in advance. Now, back to today’s post topic, which is ORGANIZING. 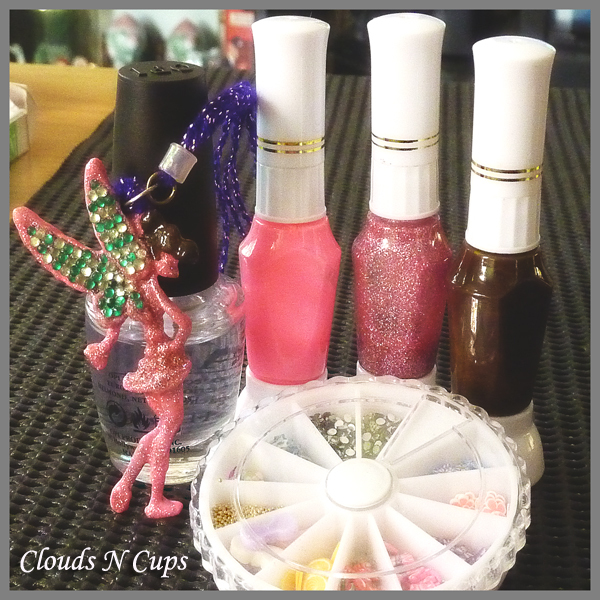 For the past few weeks, I was reading many blogs with D.I.Y and organizing/housekeeping contents and my guilty conscience kept on tapping my shoulder whenever I stare at my unorganized nail polishes.